The first and only Bean to Bar Stone Ground Chocolate, made from single origin cocoa beans. Importing the finest Cocoa beans from places such as: The Dominican Republic, Sao Tome, Ecuador. NearyNogs hand sort the beans, Roast, Crack, Winnow, Stone-grind and Temper their chocolate to create the finest chocolate Northern Ireland currently makes. Bars, Rebel Fudgery (nothing traditional), Variety of Hot Chocolate, Cacao Tea, Cacao Nibs, Almond Nut Butter Cups, Truffles. Gluten Free, Sugar Free & Dairy Free Range. The NearyNog team is a family founded, owned and run business, who have been pairing best quality chocolate with winning flavour combinations for years in south Armagh. The quest to source ethically grown chocolate made with no unnecessary ingredients wasn’t easy. 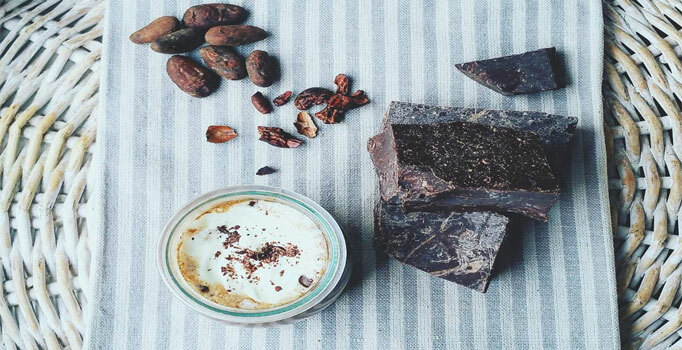 Being adventurous, they sourced single origin cocoa beans from fair trade farms in Ecuador, Peru & Madagascar. NearyNogs are ambitious to do Direct Trade having built relationships with farmers in Ecuador. NearyNogs complete the full Chocolate Making process to create beautiful hand crafted chocolate with no limits to potential creations. Flavours and varieties include: Sea salted chocolate, Irish cream and Whiskey Caramel, Orange, Basil and Poppyseed, Pistachio and Irish Cream in White Chocolate to name a few. 100%-55% Bars and makers slabs. Hot Chocolate a plenty with something for every taste and pallet. Once you try you will want to come back again and again!